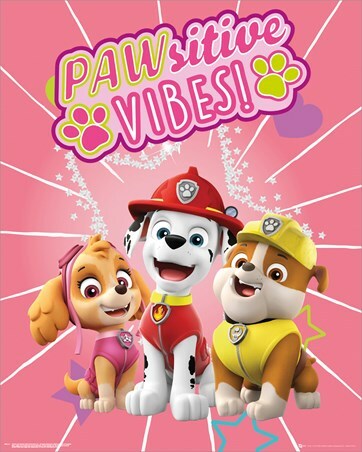 No job is too big and no pup is too small for this ace team of loveable pooches! 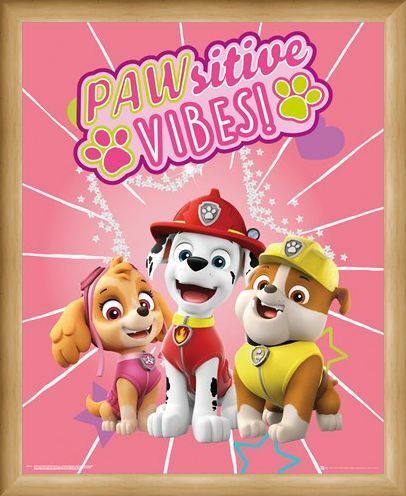 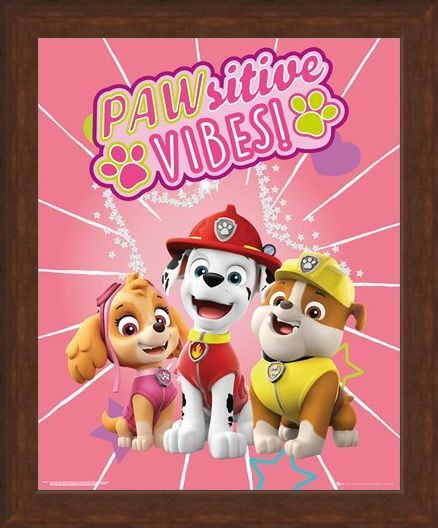 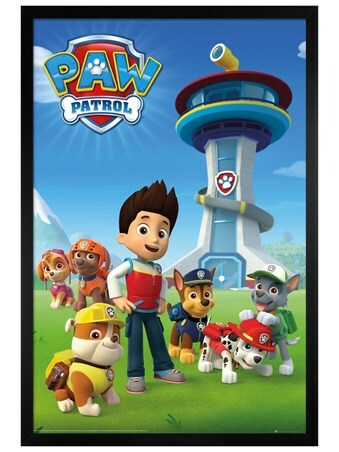 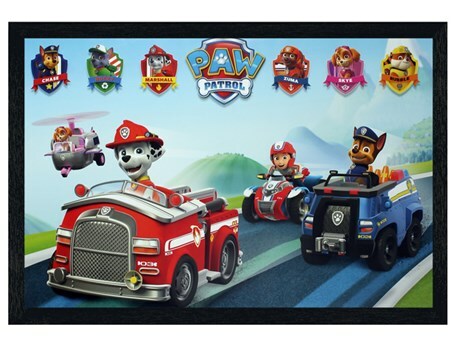 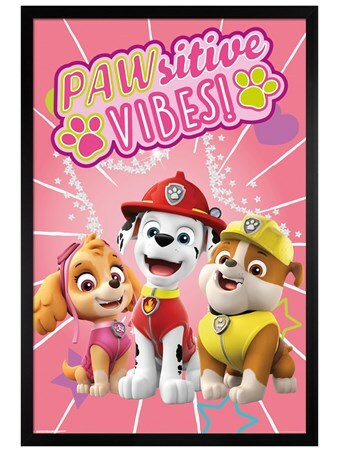 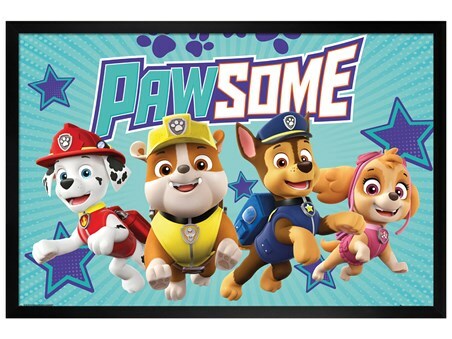 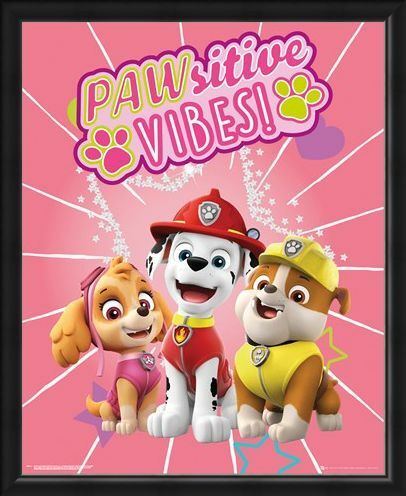 Stay 'PAWsitive' when on the job with Marshall, Skye and Rubble, with this fantastic mini poster from the much loved children's TV series, Paw Patrol! 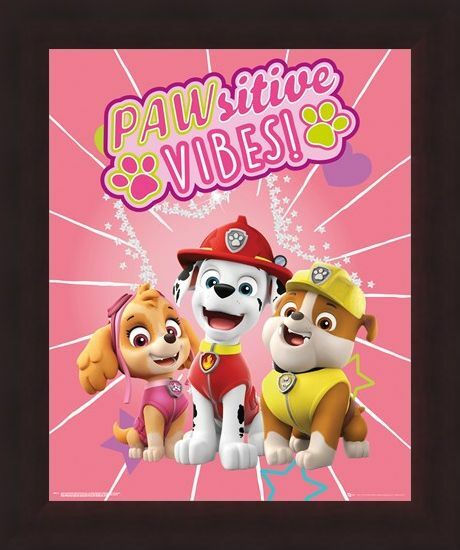 Surrounded by a burst of white stars, this trio of canine heroes will liven up your little one's walls, reminding them to keep totally PAWsome whilst on a mission! 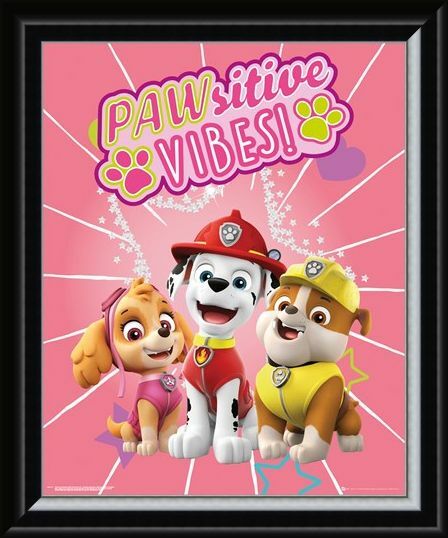 High quality, framed Pawsitive Vibes, Paw Patrol mini poster with a bespoke frame by our custom framing service.